Data loss is one of the most troublesome problems that computer users often face. Most common reasons for data loss on computer are accident deletion, hard drive corruption, partition corruption, formatted partitions, accidentally deleting storage volumes, malware attacks, system failure or others. But, losing your precious data like photos, documents, and videos etc can be very disheartening. So, computer users have been trying to find a reliable data recovery software to recover their deleted data. That's why in this article, we will introduce to you a data recovery tool by the name - Hetman Partition Recovery along with an alternative data recovery. 1. 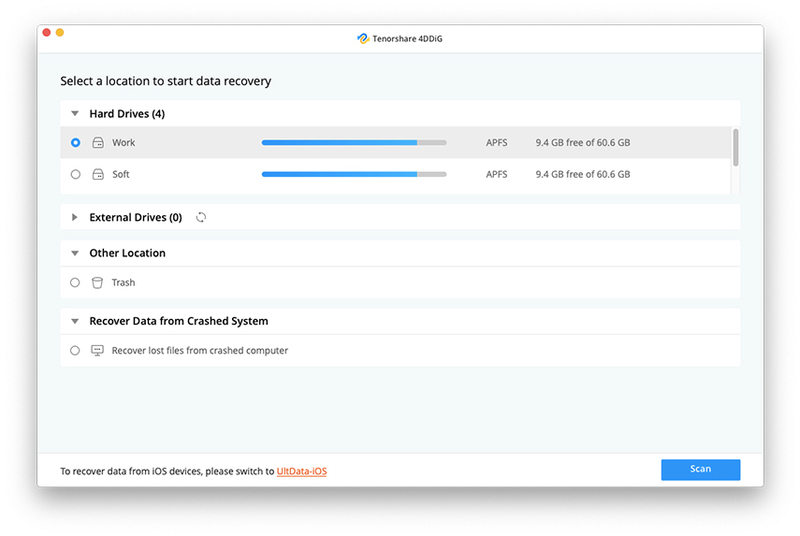 What is Hetman Partition Recovery? 2. Why you Need the Alternative to Hetman Partition Recovery? Hetman Partition Recovery is one of the best data recovery tools that come from the house of Hetman Software. This tool can recover lost data from any type of storage devices, like memory card, USB flash drive, hard disk etc. moreover, it can recover any type of data like documents, photos, presentations, spreadsheets, archives, compressed files, audio and video files, and much more from all types of NTFS and FAT file systems. So, whether you lose data due to lost partition, deleted volumes, malware attacks, system, failure or data corruption, Hetman recovery software will help you recover it. •	Comes with a fully guided recovery wizard and interactive user-interface. • This data recovery software can recover data from any type of devices. • It supports all devices with FAT and NTFS file systems, supporting all variations like FAT16, FAT32, VFAT, NTFS 3, NTFS 4, NTFS 5, etc. • Two modes to preview files are available, Visual and HEX for casual and advanced users respectively. • Advanced algorithms of the Hetman photo recovery software make the data recovery extremely secure. • Effective data recovery from a range of mediums like USB drive, smart phones, digi cameras, memory sticks etc. Although, Hetman Partition Recovery is quite useful than other data recovery software available in the market, still, it has its share of flaws. Let's also view some of these flaws of Hetman Partition Recovery that might compel you to find an alternative data recovery software. • It isn't available for free. Though a free version is available, but it doesn't work. • You need to register and buy the paid version to use it. • Data recovery speed is very slow compared to other paid and free data recovery software. • There isn't any guide available for deep scan mode. • The all-manual mode is not easy to work with. From the user reviews, we can see that the Hetman Partition Recovery has many disadvantages, so we need find a alternative to it. Unlike Hetman Partition recovery, Tenorshare Ultdata - Windows/Mac is the best data recovery software which allows users to recover their deleted or lost data from their respective system storages. You can recover any type of deleted data like photos, videos, musics, documents, PDF, Office documents, RAR, ZIP, system files, mails, etc. effortlessly in three easy steps. Moreover, you can preview the data before recovering it and selectively recover the files that you want. UltData - Windows/Mac can also help you recover files from external devices as well. And it has a very good user experience. • Easy to use due to its clean interface. • It can recover a wide variety of files like photos, docs, music, video, mails, files, etc. • You can recover from external devices like memory sticks. 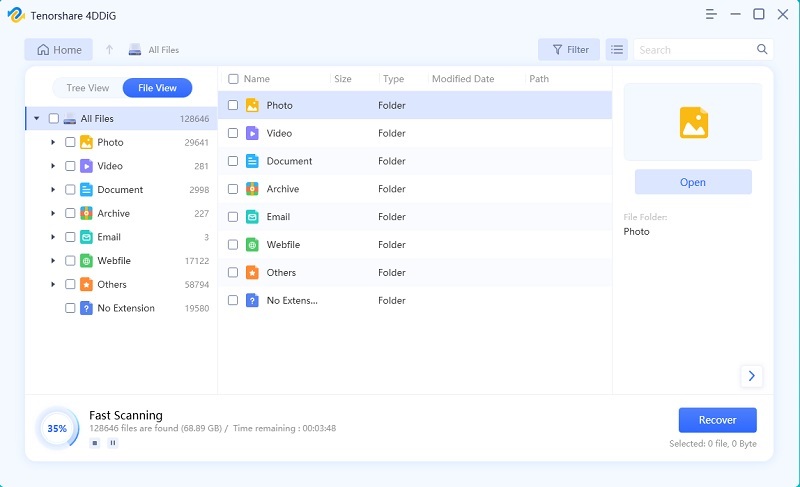 • UltData allows you to preview your files and recover the files selectively. 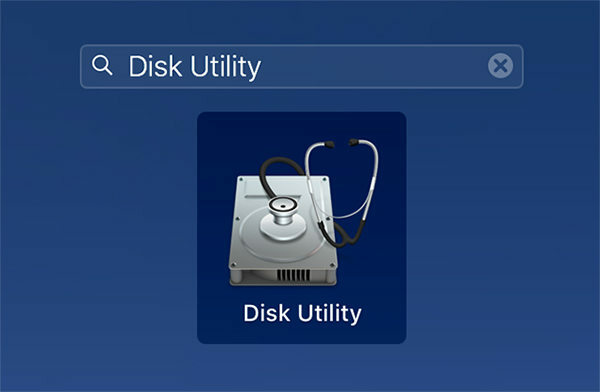 • You can recover deleted data directly from the computer. • It works on both Windows and Mac computers. Step 1 First, download and install Tenorshare UltData - Win/Mac from the official website on your computer and then launch the program. Then, from the main interface, select the exact location where your lost files were previously saved. If you don't have any idea, you can select the option "The Whole Computer". This will essentially scan your entire computer. Step 2 Now, click "Scan" button. Your computer will be thoroughly scanned. When UltData finishes scanning, you will be able to preview all the files available for recovery. Step 3 last, select the files you want to recover and then press on the Recover button. Data recovery software become very important in today's world as everything has become digitized. We handle large amounts of digital data every day on our smartphone, computers, laptops, at home or office. Sometimes, we may accidentally delete some of the data that we require and that's where data recovery software comes in handy. In this article, we have introduced the Hetman Partition Recovery Software and also the best alternative data recovery tool for recovering lost data from computer or Mac. Go for it!